Dreams mean different things to people according to culture, time and place. For tribal cultures, dreams were often revered by being incorporated into the life of its members through rites of passage, or taken as prophetic messages. These practices have mostly faded away in cultures where individuality is highly esteemed. As technology enables individuals to sustain themselves seemingly independent of a tribe, there is less need to rely on the messages that dreams bring. When thought of at all, we moderns tend to think of dreams as personal messages referring to one’s individual psychology. Even psychological practices discourage us from sharing dreams for fear of contamination or the loss of a temenos. I share this concern. But, I am challenging myself here by sharing with you two dreams to see if there may very well be a shared constellation between dreamers, even in an online environment. Why not expand our understanding of dreams as meaningful to both the dreamer and the tribe? A tribe can be any group of individuals where connection somehow constellates. Familiarity with tribe members is not necessary for dream meanings to constellate. We have much more in common than our differences may keep us from realizing, yes? As I wake up, I am actually beginning a lucid dream. I’m standing in the street and realize that if I move I can float upwards above the street. As I move upward, I see a small animal. I move cautiously towards him. It might be a bat, but I don’t see wings. I look into his face and eyes and hold out my hand to him. He then sits in my hand and we look deeply into each others eyes. I let him go and then wake up. But, I am not awake, but am lifting off the ground into a vivid night sky. There are multiple moons and planets visible everywhere. I am aware of the ability to float around at will. The beauty is so stunning I wake up. On a boat moving towards Liberty Island with Paul (my husband), we move past the island when we see another beautiful island beyond. On the island there are vertical rock formations which have small delicate, ornate tops. We reach the shore and look around to see a herd of elk-like creatures scampering off the rocks onto the beach where we are. I touch the ornate rock formation and to my surprise, it breaks off. I feel bad about that. I turn around and can feel an animal biting my upper back. Paul says suddenly, “It’s a lemur.” The distinction of his words made me turn around and look. The lemur was now on the rocks and I see him with some cats who are his friends. I am no longer afraid and wake up. 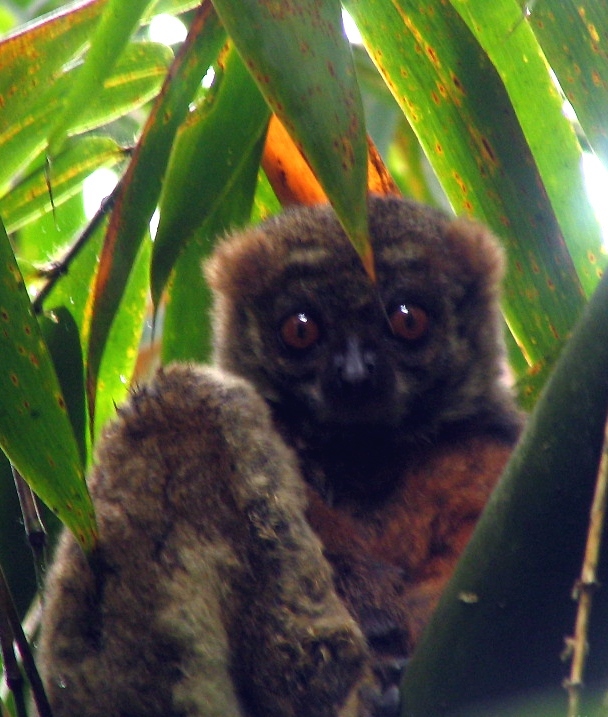 Upon waking I felt very moved by the presence of the lemur, but wasn’t even sure what a lemur was. I thought they were part of the cat family! So, after reading up on lemurs I realize that the animal in the dream from October was also a lemur. It had bothered me that although it resembled a bat, it wasn’t. Upon seeing a photo of a lemur, I recognized that the bat was actually a lemur. 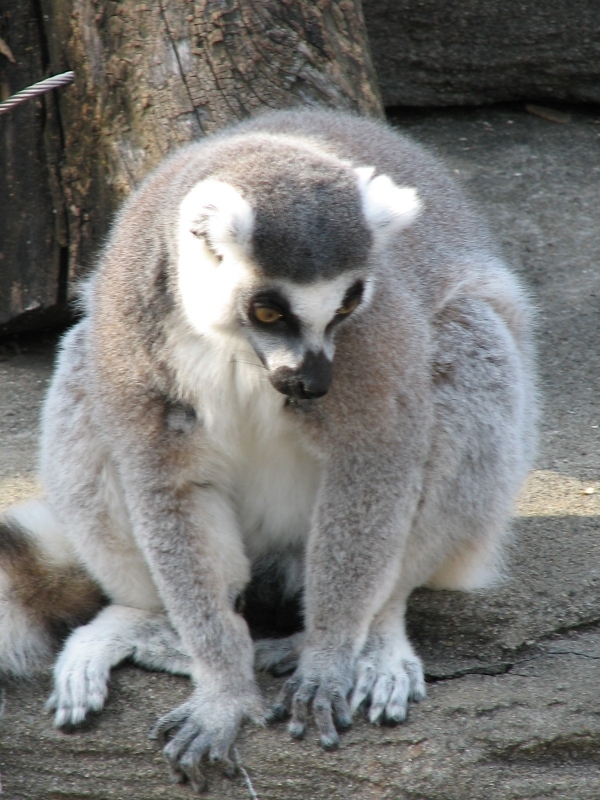 Also called babakoto, the Lemurs have a very distinct call and response style of singing. I found some YouTube’s of Lemur sounds and as I hit play, all five cats in my home went on immediate high alert. Honestly, I have never seen all of them react the way they did. I had to stop playing the beautiful haunting lament of the Lemur sounds. Time to get head phones! “One explanation for the name babakoto, is that the calls made by the indri resemble a father calling for his lost son. But Roman and Christian cultures do not see the lemur as a friend of humankind, but as vengeful ghosts of the deceased haunting someone who has dissed the ancestor with an improper funeral or burial. It’s striking to me how opposite in nature the views are between the Madagascar natives and modern Europeans in their association to Lemurs. Perhaps the dream speaks to a need to reconcile the opposition between these two views? On a personal level, that opposition is very much of a concern to me and upon hearing these associations, I was impressed by how strongly resonant the two cosmologies play in my current thinking. 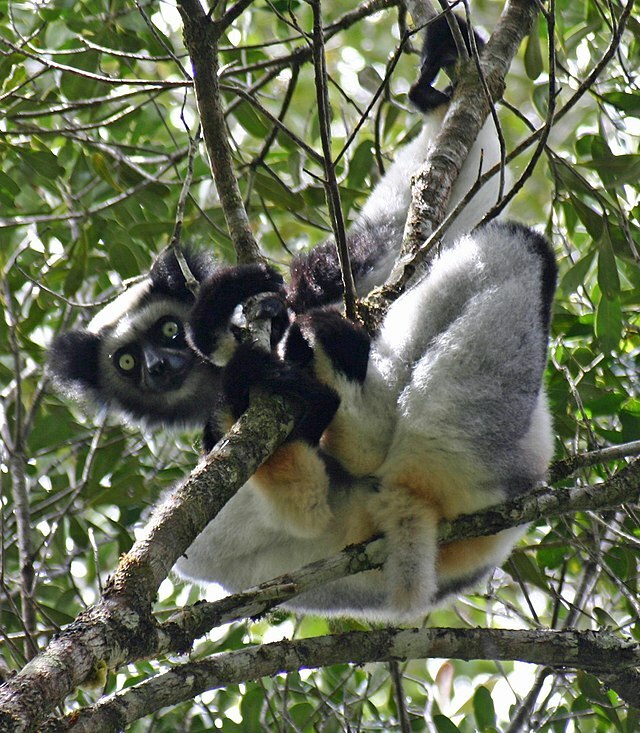 In mythology, and perhaps because of their size, behavior and likeness to us, Indri are thought to have a common ancestry to humans. A lover of animals all of my life, I am honored that the lemur has come to me in my dreams. Going out on a limb, so to speak, I would love to hear of your associations to the dreams or the lovely lemurs.